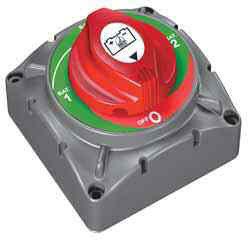 The 721 Battery Selector Switch is our heavy duty selector switch. Housed in the same module as the 720, it includes the same removable plates and back cover. While BEP Marine recommends isolated battery systems as outlined with our distribution clusters, the 721 offers a simple economical way of separating two batteries. Please note selector switches will not separate electronics from harmful engine starting spikes.